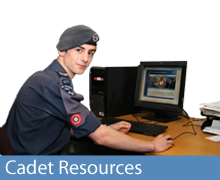 Mixing work and play is at the heart of the Air Cadets. Getting stuck into sport is fun, and you'll build friendships and learn how to use your strengths to best effect in a team. And it doesn't stop at the sports we've mentioned. Each squadron runs loads of different sport activities. These could include 5-a-side, table tennis, volleyball, racquet sports or many others. You'll be playing for fun but we'll encourage you to unleash your competitive side. Don't worry if you don't think sport is your strength. You don't have to be the next Olympic star, just take the opportunities and enjoy yourself! Athletics is a key part of the sporting calendar. with the usual track and field in the summer and cross country running in the winter months. All our events are governed by the rules of the UK Athletics Association. The country's national game is naturally a sport enjoyed by many cadets. This is played by all at 5-a-side level and by male cadets only at 11-a-side, which goes right up to national level. Rugby is one for the boys in the air cadets. 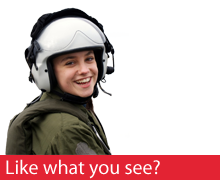 You could represent your wing, region or the Air Training Corps. All games are played to the rules of the Rugby Football Union. Hockey in the Air Cadets is just for the girls, with competitions running at Wing, Region and National Levels. Hockey in the Air Cadets is governed by the rules of the Hockey Association. Netball in the Air Cadets is played under the rules of the All England Netball Association. Swimming starts the Air Cadet sporting season in September, when you could swim for your squadron racing against others in Surrey Wing. If you are quick enough you could go further swimming for the Wing, Region or even the Corps.